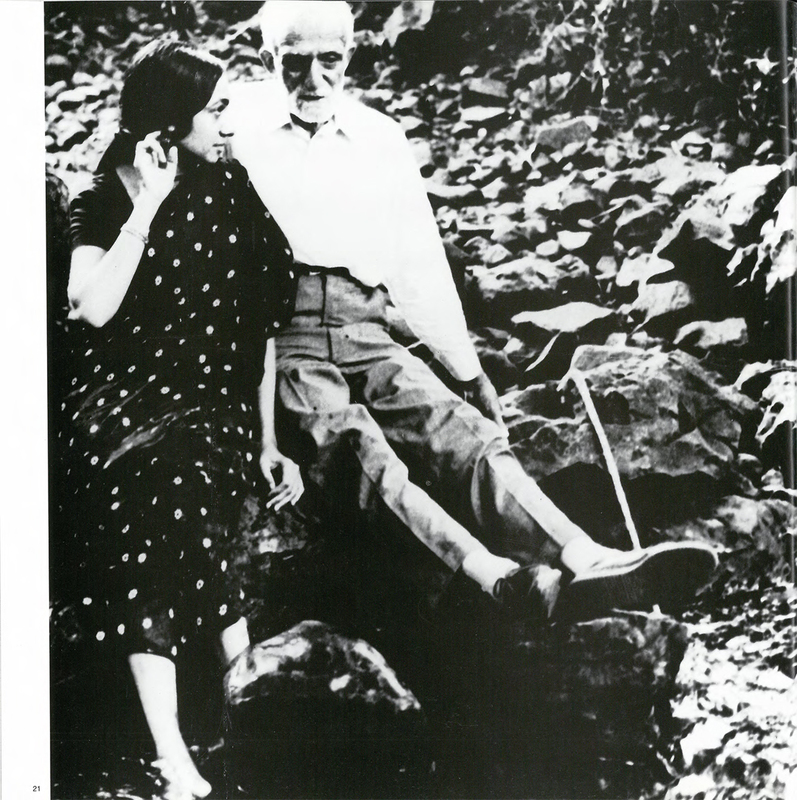 Some images from the Photo Album from “Nasreen in Retrospect” published in 1996 after her death by her family. 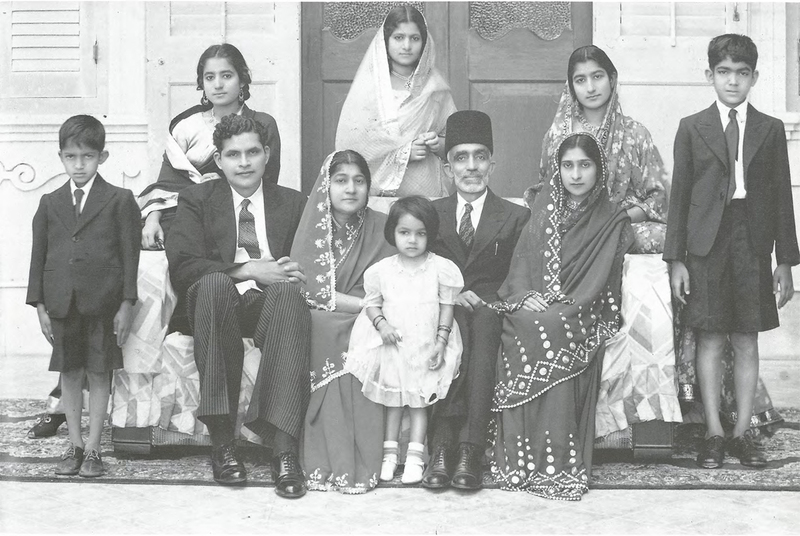 1 Nasreen’s Family with Nasreen age four – L to R – Back: Cmar, Saleh, Rukaya (sisters), Front: Anwar (brother), Akhfar (brother-in-law), Zainab (mother), Ashraf (father), Vazir (sister), Shams (brother) with Nasreen center age four. 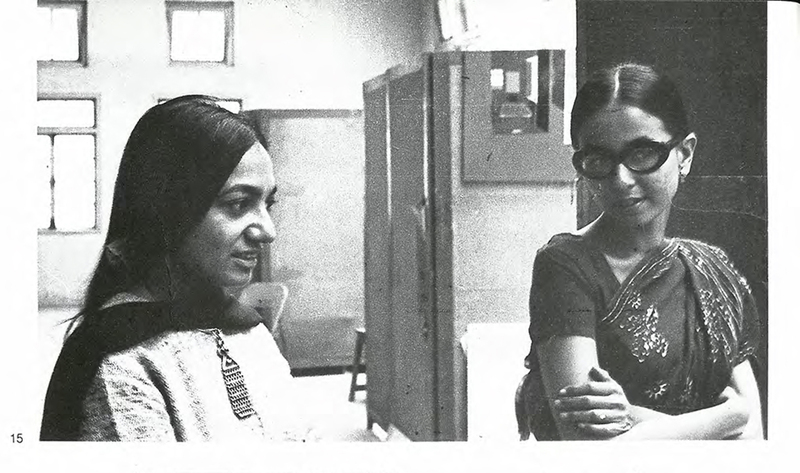 15 With artist friend and colleague Nilma Sheikh, 1980. 16 With a student in M.S. University, Faculty of Fine Arts, Baroda. 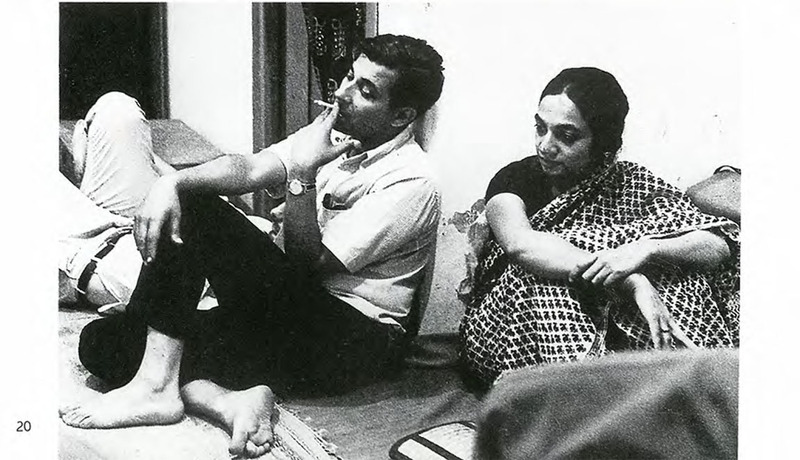 20 With Krishen Khanna (artist) at Bhupen Khakhar’s residence, Baroda, 1970. 21 Nasreen with her father Ashraf, appx. 1969. Thank u. I am a phd scholar, doing my phd on Nasreen. so I need all details of her. These pictures means a lot to me.